The trees are blooming, the snow has mostly melted (depending on the day) and we are ready to celebrate with a Sale! 20% off bolted fabric (1/2 yard cuts or more) 50% off remnants. 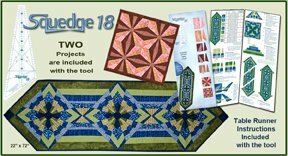 In addition to a sale we are celebrating National Quilting Day AND a Quilting All Nighter! Make sure you call and get signed up for the class. We sure have a great time, you don't want to miss it! 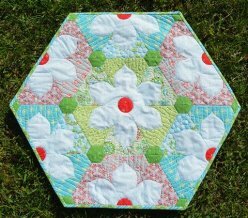 ~2015 Saturday Sampler quilts on display... Come see the creative one of a kind quilts. Excited to see you here! An elegant table topper using your 60 degree ruler. It makes a lovely hostess gift but it's so much fun to make you'll want to make it for yourself too! 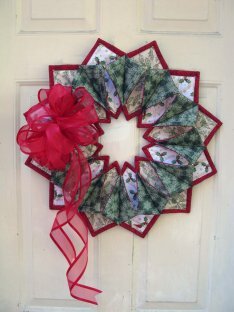 Need a pretty seasonal wreath, or an unusual table topper? Whip up this dimensional design in an afternoon! 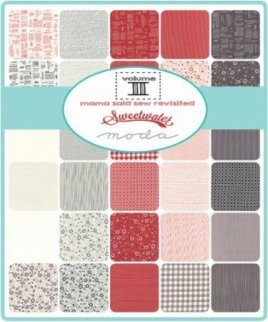 We just got in Volume II by Moda. Gorgeous! We have it in the Charm Packs. A great idea to add them to you stash if you are doing the 2016 Saturday Sampler. I don't know about you, but dang it, I am getting older and my darn eyes are getting worse! Someone must have known about my predicament and came up with a solution. Easy peezy, just open on the side of the eye. 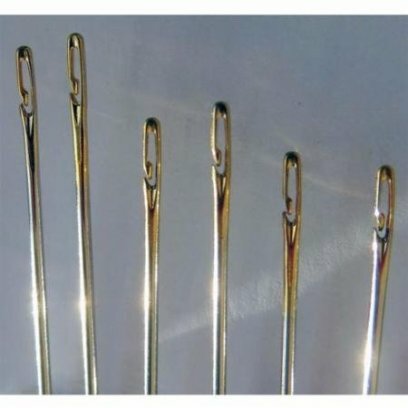 Easy to thread and stays threaded! I made the picture a little larger so we could really see the opening on the side! We now carry Swaddling Gauze Fabric. 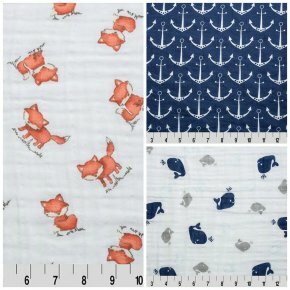 You can make all sorts of great projects with this fabric! It is easy to work with and so soft! In fact, the more you wash it, the softer it gets. We have made a scarf and a receiving blanket with it. The Mammobile is coming but I am waiting on a few details from Mountain Medical on how to get the appointments. As soon as I get the info I will be putting together an email so you can get things set up. Let's talk, giving to people in need.... 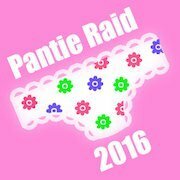 The Pantie Raid. Starting April 1, 2016 we would love to have you bring in any undergarments that are new and wrapped in the packaging. After collecting these, we will be donating them to our local SAFV program. We have some super great classes coming up... so get your calendar out. Don't forget to call and sign up, so we know you are coming. We have several patterns to choose from. You do need to do some cutting prior to coming to class, so sign up early. Bring whatever you are working on or come and start something new. Class starts at 6:00 pm and ends when you can't keep your eyes open.